Decimus Burton was quite a gent. Born in 1800, the son of James Haliburton, one of the most significant builders of Georgian London, he studied under John Nash and designed his first major public building – Colosseum in Regent’s Park – at the age of 23. Wellington Arch at Hyde Park Corner, Cornwall Terrace in Regent’s Park, the Athenaeum Club in Pall Mall and Trinity Church in Tunbridge Wells all followed within five years. Hot on their heels was Charing Cross Hospital, the Palm House at Kew and the Calverley Estate in Tunbridge Wells. In 1850, he turned his attention to St Leonards on Sea where a development had been begun by his father. One of the elegant terraces Decimus built he so liked that he kept one of the houses for himself and although he never lived there, he owned it until his death. However, these grand houses were designed to appeal to well-heeled London society families and as St Leonards slipped off the holiday ‘A’ list, so buyers for properties of this size slipped away and Decimus’ house finally ended up as flats. Then, about 30 years ago, an Anglophile German diplomat, Manfred Müller, bought the property and began renovations aiming to return it to its former glory. 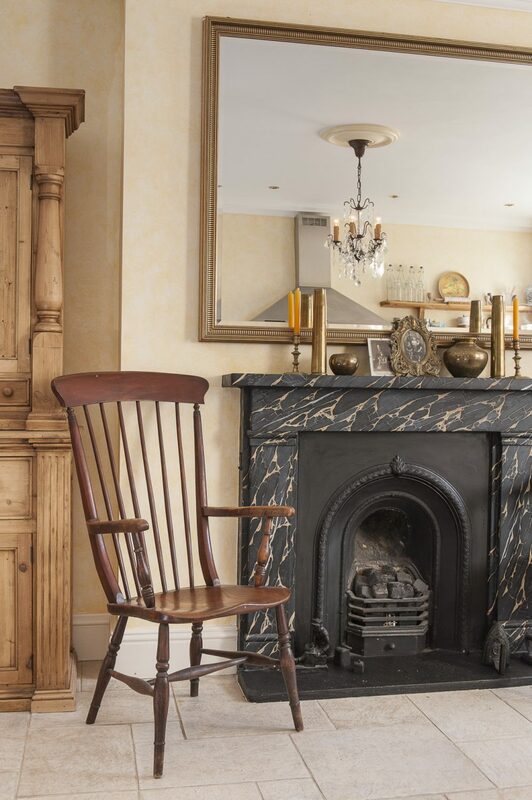 About 14 years ago, Manfred turned to local builder Ken Hazell to advise on the restoration of the plasterwork and he quickly turned into Manfred’s right-hand man involved in every aspect of the project. It has been a massive undertaking. 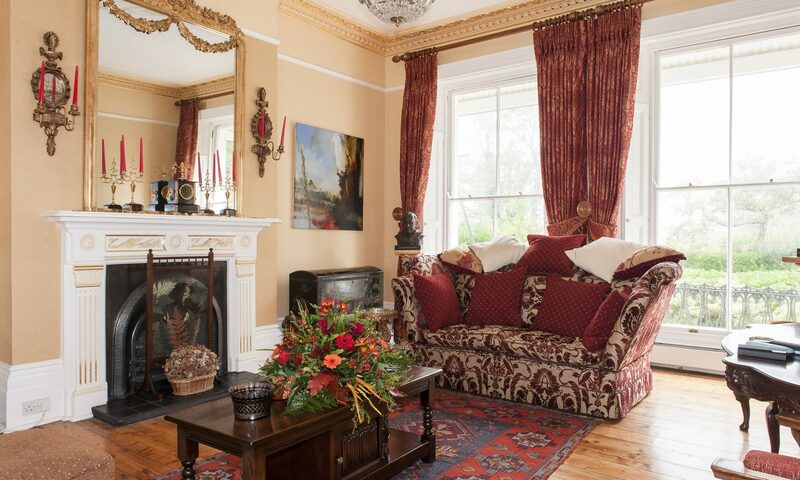 Virtually all the original Victorian fireplaces have had to be replaced, walls removed and rebuilt. 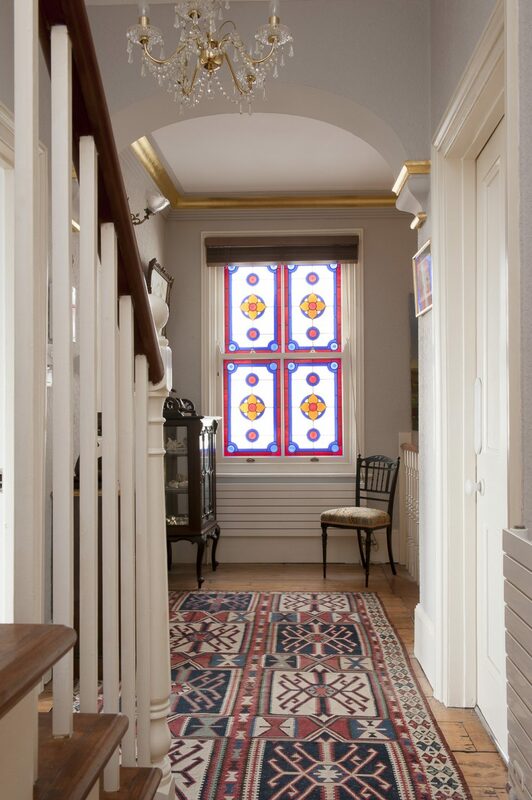 A staircase to the second floor was crafted and re-instated in its original position by local carpenter Andy Cryer along with the majority of woodwork in the house and, of course, the detailed plasterwork renovated, much of it by Ken himself with the help of his son Damien. Ken’s wife, Irene, meanwhile, provided the inspiration for the colours used throughout the house. 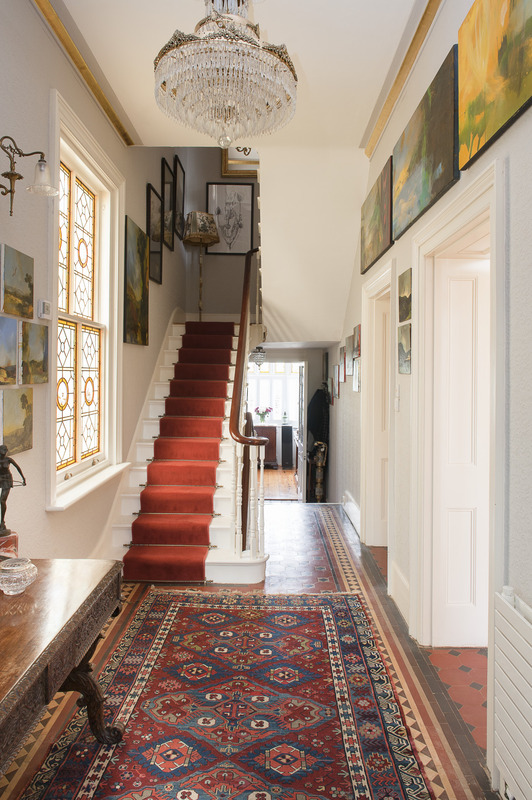 The first thing one notices as one steps through the imposing front door is the beautiful tessellated hallway – Decimus’ house is the only property in the terrace with a comparable floor. The second is the gold leaf. Everywhere. 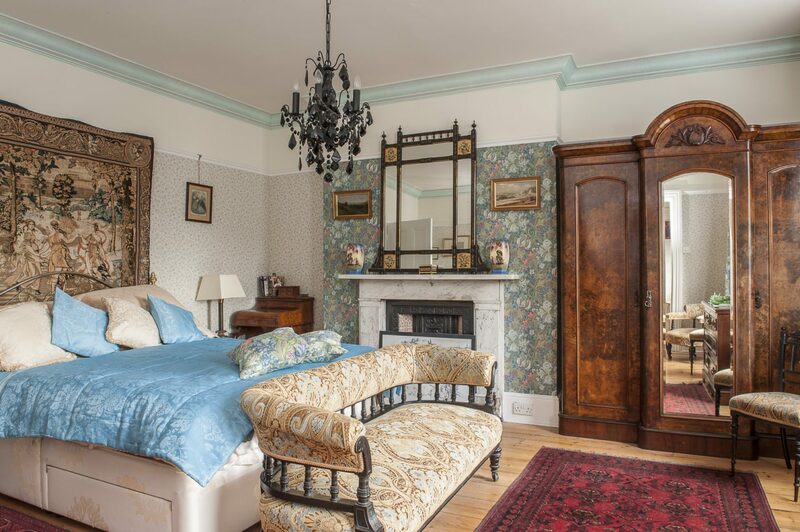 Every cornice, every ceiling rose has been beautifully gilded – at a cost of £25,000. The couple admit that it’s not really to their taste but, with his professional eye, Ken is quick to praise the undeniable quality of the workmanship. The next thing one notices is something that is very much to Ken’s taste – the art of St Leonards on Sea-based artist Alan Rankle. Rankle, whose art is broadly a post-modernist fusion of abstract, trompe l’oeil and figurative imagery, is now internationally acclaimed but, when Ken first saw his work, his reputation was largely confined to a small group of collectors in the UK. “It’s nice to think I’ve an eye for up and coming artists but it really wasn’t that,” admits Ken. 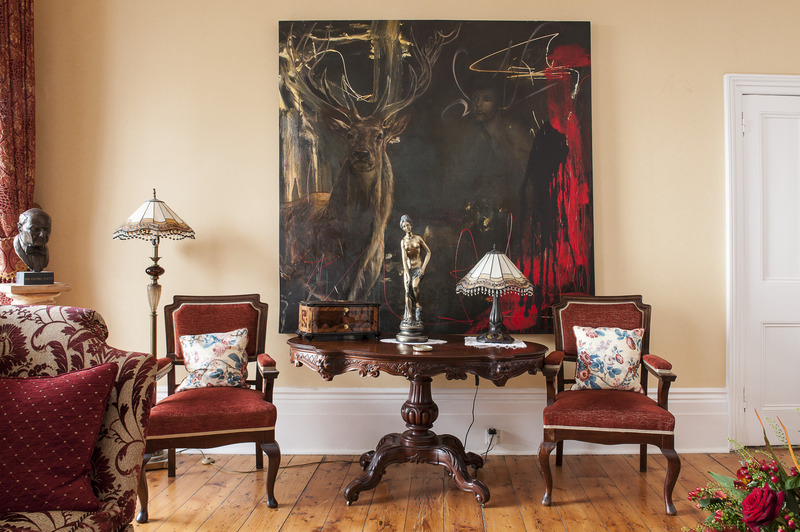 “We just loved his paintings and began collecting them. Everything we saw we liked and decided to collect his work historically.” He bought his first Rankle for £600 and now has 45 paintings and studies – the largest single collection of the artist’s work in the world. Some are on loan to exhibitions but the majority grace walls of his new home. And they are not alone – joining them are works by Andrea Mariconti, Kirsten Reynolds, Robert Sample, Samuel Prout, Per Fronth, Anthony Benjamin and Enrico Savi. His latest find is Sussex artist Helen Hunt. 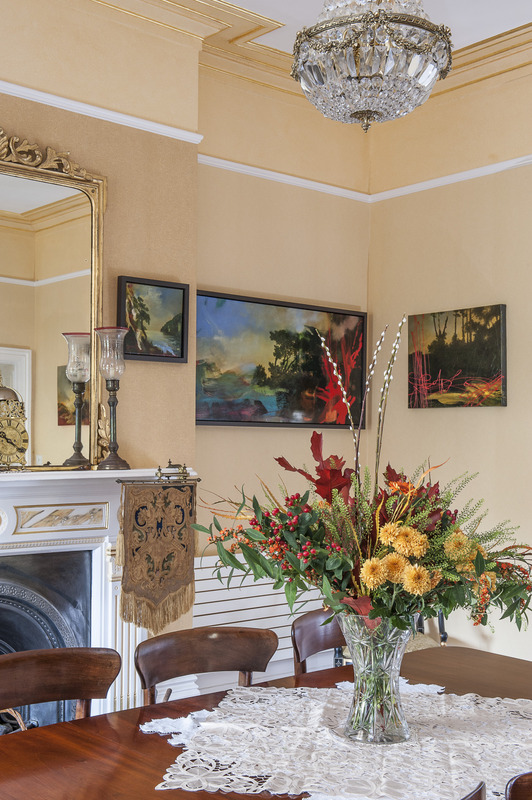 From bold abstract landscapes to delicate 18th century watercolours, Ken’s is truly a wonderful collection and one of the most fascinating and absorbing I have ever seen in a private home. At every turn you know there will be some new treasure to stop you in your tracks. One could easily spend a week wandering from space to space lost in these works and still have to be dragged from the premises. One might, in fact, expect that a collection of this significance would upstage the house itself and it says a great deal of Decimus’ talent that it does not. 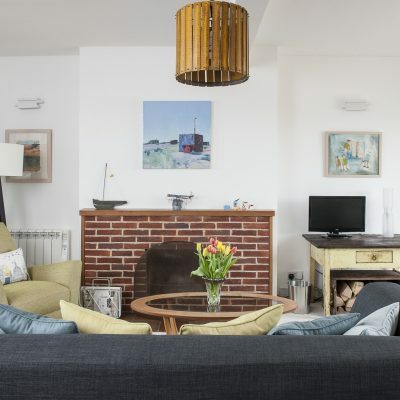 This is a big house in every way – soaring ceilings, spacious rooms and hallways and a staircase one feels it would be impossible not to descend in white tie even for beans on toast. 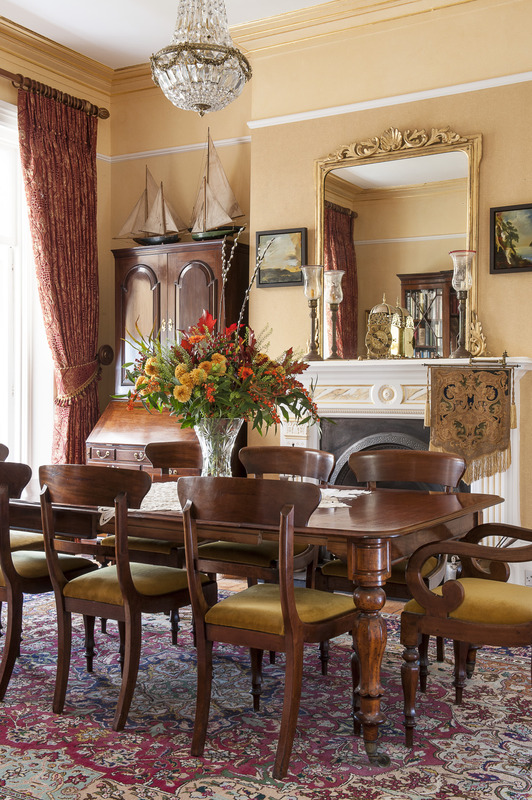 The drawing room is exactly what you’d expect, a gracious space that demands – in fact, insists on – a superb chandelier which is exactly what it’s received. 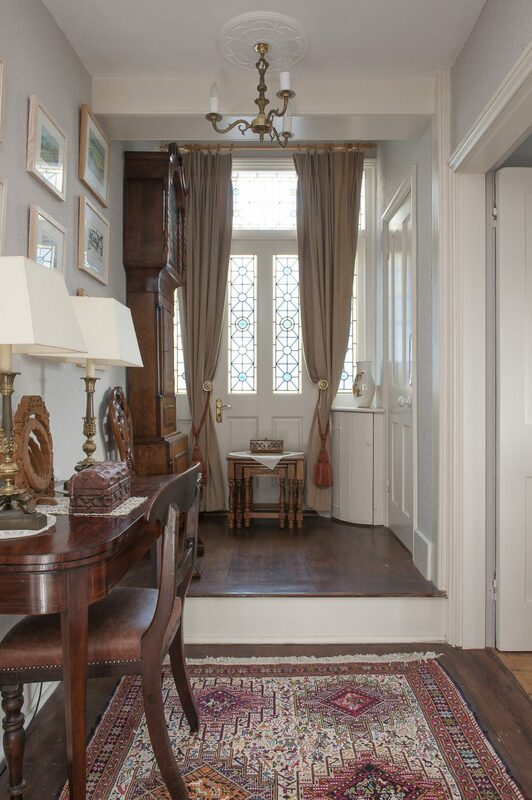 On the bare oak floorboards is a Turkish carpet brought back from Istanbul by the couple’s daughter. On either side of the window on wooden barley twist plinths, made by master turner Mike Dean, are two bronzes by Ian Milner – one of Shackleton and the other of Sir Georg Solti. 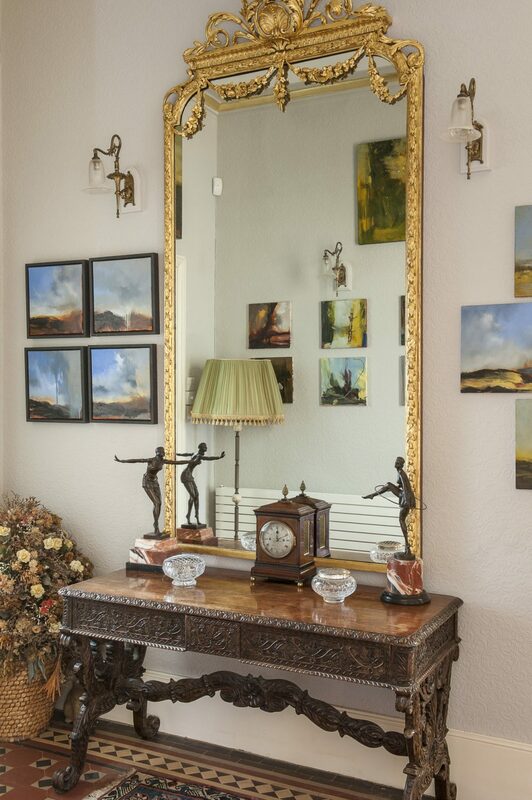 In the corner stands a beautiful black lacquered chest, sourced, like so many excellent pieces in the house, from Robert Amstad of Hastings Antiques Centre fame. Above the grand white faux marble fireplace finished by Hastings specialist painter Alan Kent is a massive gilt mirror in which is reflected the room’s pièce de résistance – a vast and haunting canvas by Alan Rankle and Kirsten Reynolds. 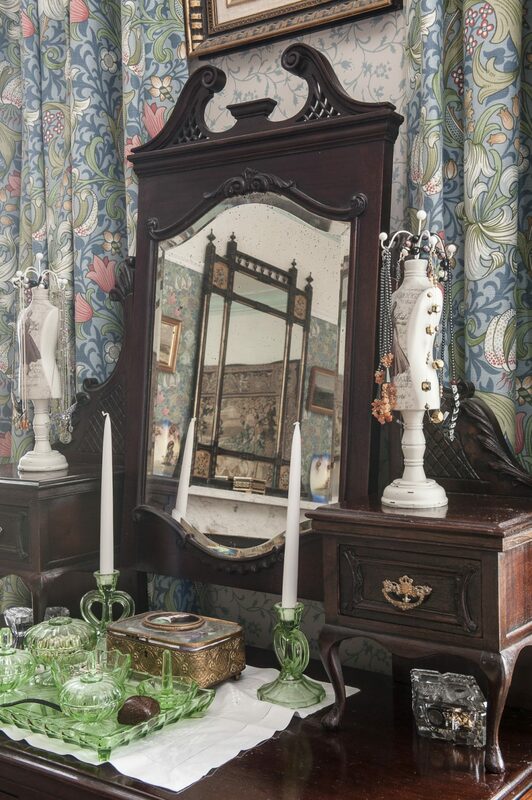 Behind the clock is a Victorian gilt mirror, the twin of which tops a fireplace in Osborne House. 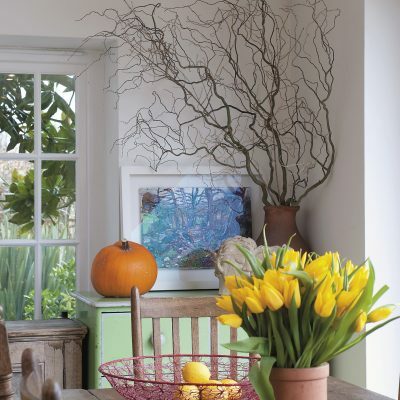 The basket chandelier over the table is one of a pair found in Brighton Antiques Centre. 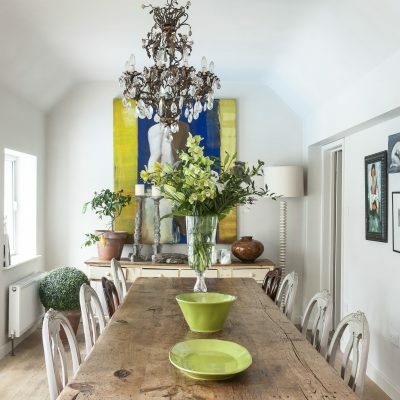 Beyond the dining room is a snug conservatory and along the hallway, past a rare antique Mexican pedestal telephone, is the house’s modest chapel, a legacy of the days when the domestic chapel was as de rigeur as today’s en suite bathroom. This chapel is now a cosy music room complete with HMV trumpet gramophone. The doors into the chapel are virtually all that remains of the acres of wonderful stained glass that the house once boasted but which didn’t survive its conversion into flats. As part of the renovation Ken restored original doors and panels, working with local stained glass artists. 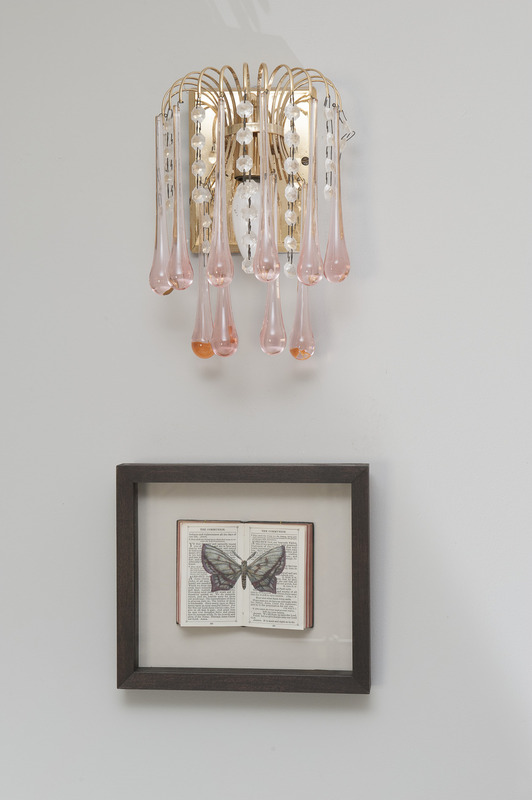 His favourite was Isobel Ackary of Hellingly-based Labyrinth Stained Glass and looking at her work is easy to see why. 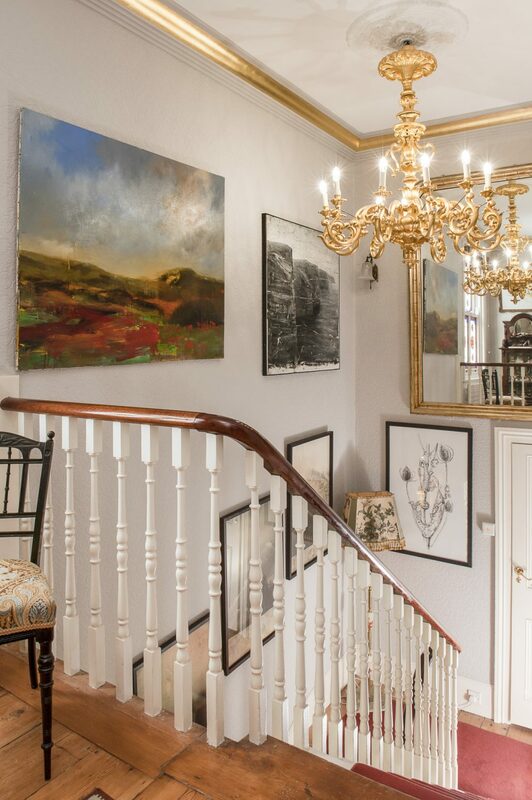 The chandelier-lit hallway is home to more important Rankles including four of his 28-strong Light and Meaning collection and four Yorkshire canvases. 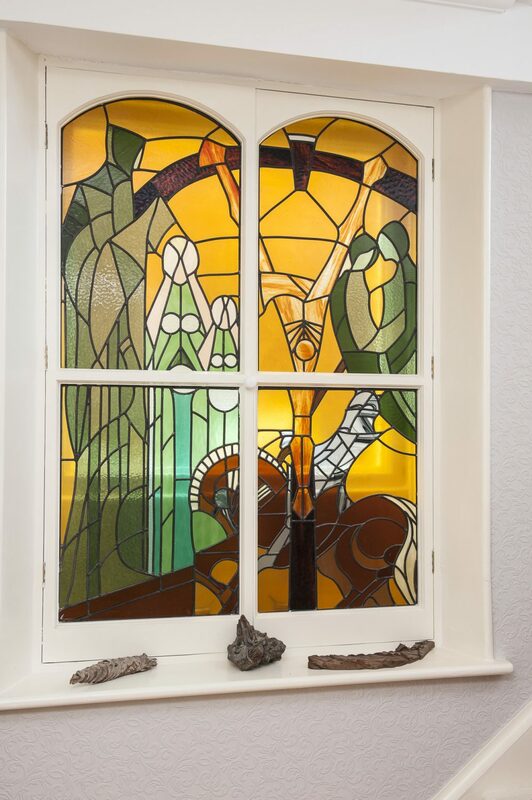 Here a glowing amber stained glass window Ken sourced in London has replaced the original. 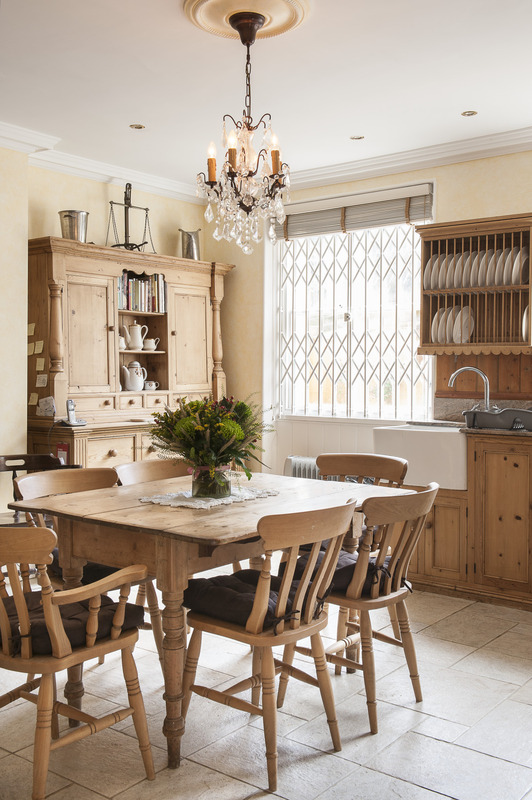 ‘Below stairs’, in what would have been the original kitchen, Ken has created a less formal dining room with an almost medieval atmosphere and dominated by a sturdy dark oak dining table from Robert Amstad. 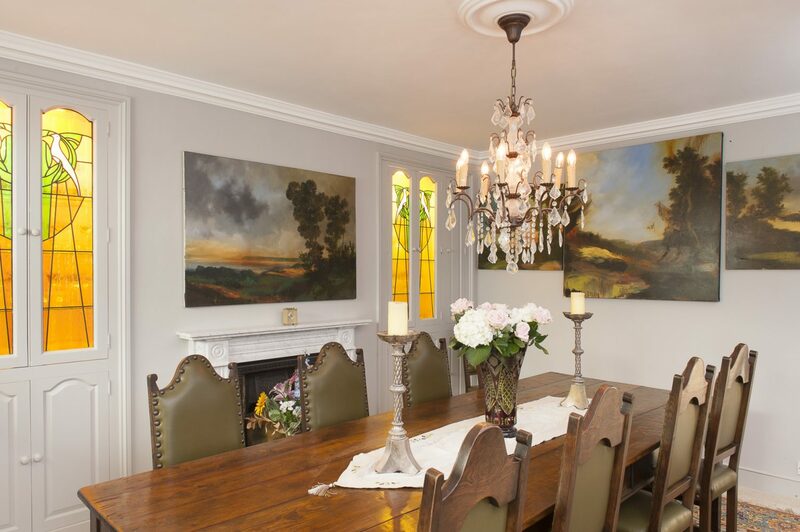 On the wall at the head of the table is a stunning Rankle of Calder Valley and the work of Isobel Ackary is again evident in the shape of two lovely stained glass-fronted cabinets. 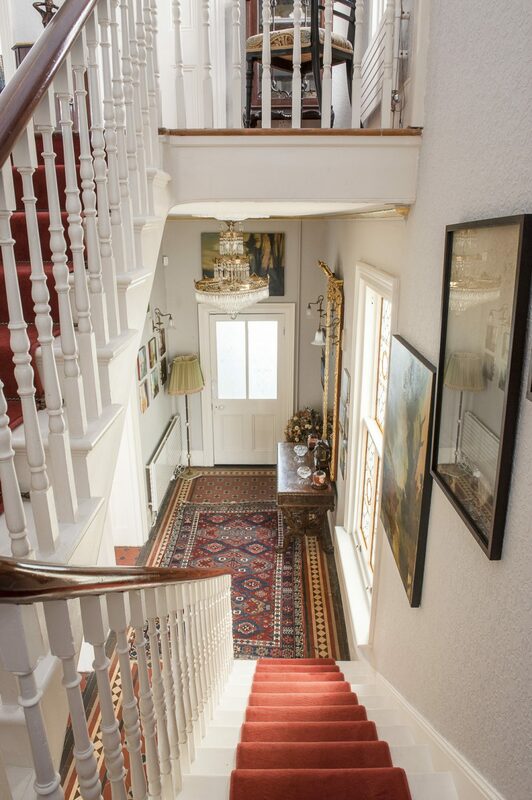 On the first floor landing is a collection of delicate pen and ink works by Manfred’s wife, Anna, and, ticking importantly away beside them, another Victorian grandfather clock. 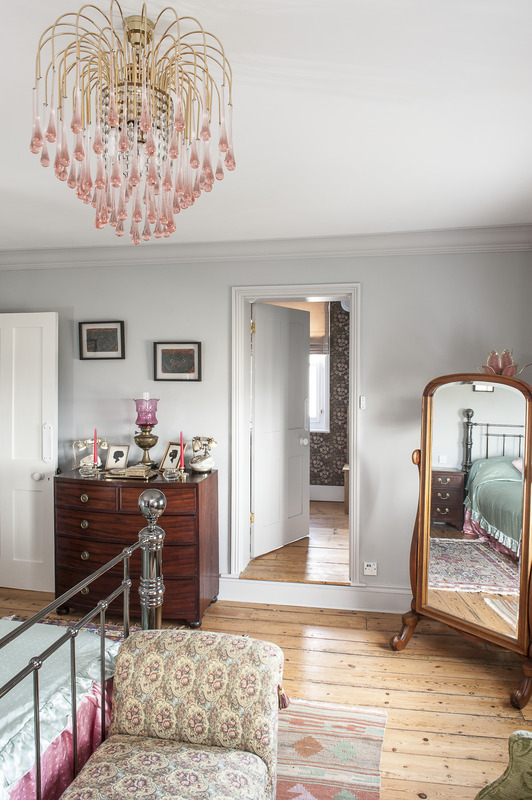 Off the landing is the couple’s guest suite and its centrepiece, a large and unusual gun metal ‘brass’ bed. 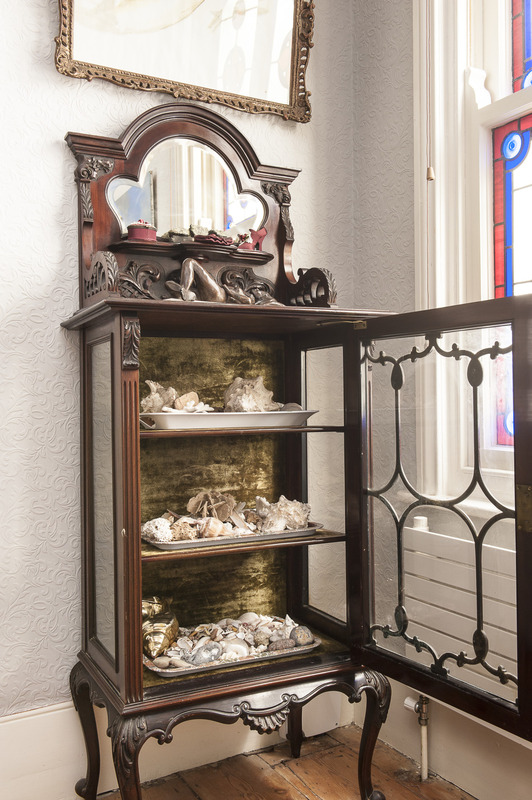 In a corner is a magnificent domed chest which once belonged to Manfred while on the walls is a collection of Helen Hunt’s work on parchment of moths. Up again to the next landing and Ken and Irene’s own bedroom with its breathtaking view out over the town and coast to Beachy Head. Appropriately, here Ken has gathered his collection of Hastings paintings including water colours by Samuel Prout and Charles Graves and an oil of All Saints Church by W.W. Barrow. Not all were in perfect condition when Ken bought them but now they glow due to restoration by Hastings’s South East Conservation Centre. The top floor of the building has been converted into a flat where Ken and Irene once stayed at weekends. From here the views are even more dramatic and elegantly brought into focus by a vintage brass telescope. Less formal than the floors below, the walls sport a wonderful collection of Parisian cartoons of the Rothschild bankers which once hung on the walls of a Paris hotel. In one they are joined by Toulouse-Lautrec. 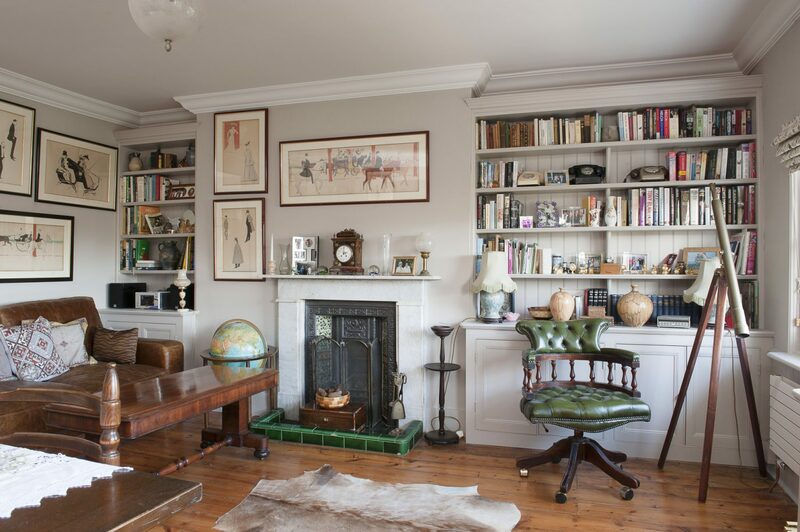 Collecting is in Ken’s blood and here he has also indulged his passion for oil lamps, vintage telephones and Dinky toys. Decimus Burton houses are hardly rare. From neo-classical monuments to the crystal palaces of Kew, from churches to hospitals, stately homes to seaside villas, this was a man who, literally and figuratively, built for England. However, of the many houses he built in St Leonards, this was clearly a favoured property and he would, I think, have seriously approved of the commitment and hard work of Manfred, Anna, Ken and Irene in returning it to its original glory and, in doing so, creating a showcase for so much of beauty and, indeed, wonder.